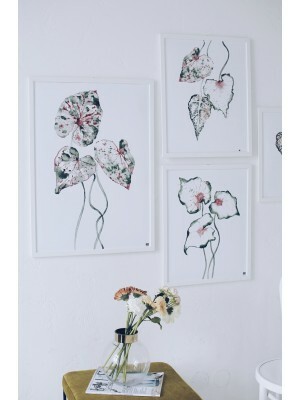 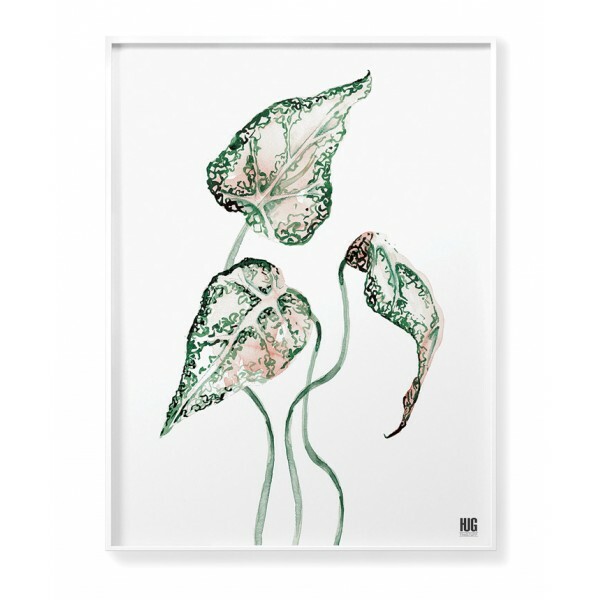 Botanical poster with Begonia leaves. 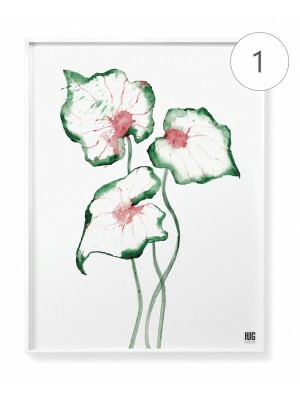 Begonia is an exotic plant found in many varieties and in a variety of colors. 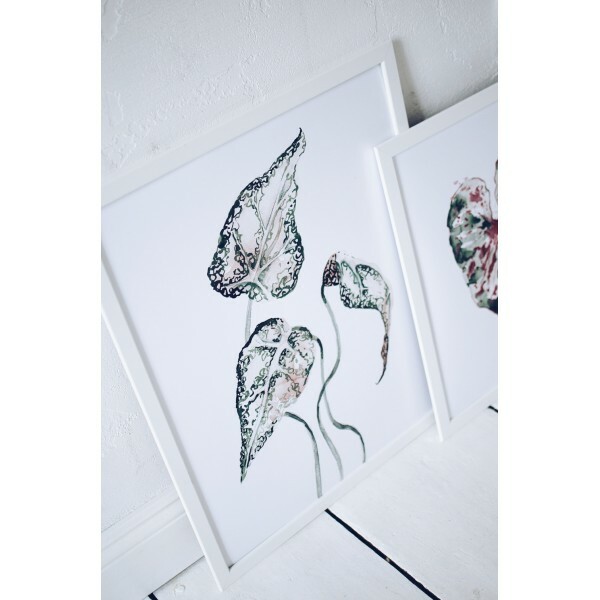 People who love the nature and beauty of tropical plants will surely appreciate it. 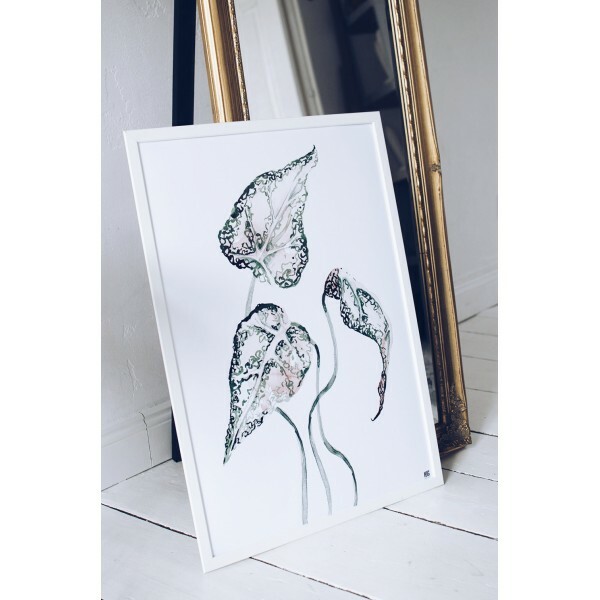 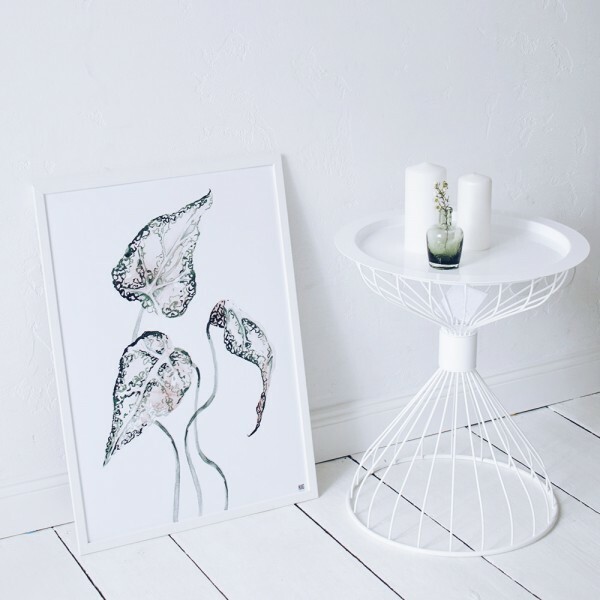 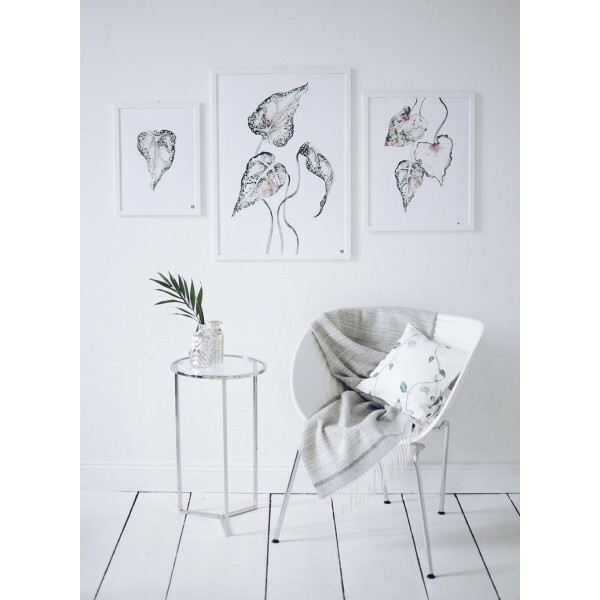 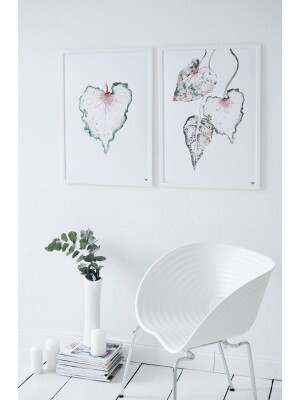 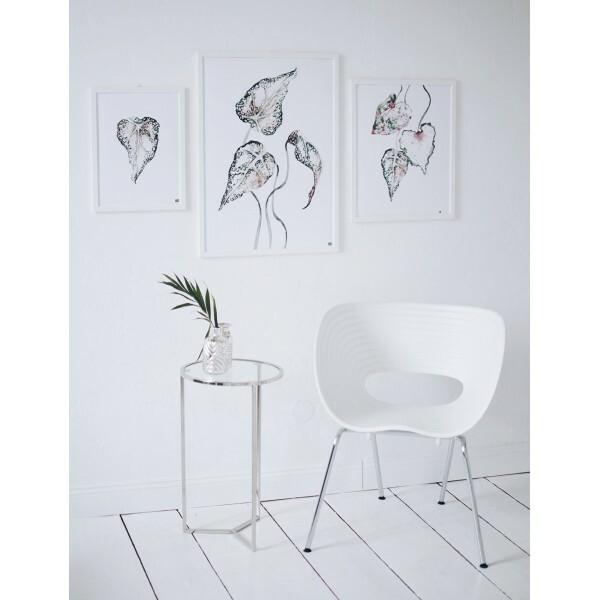 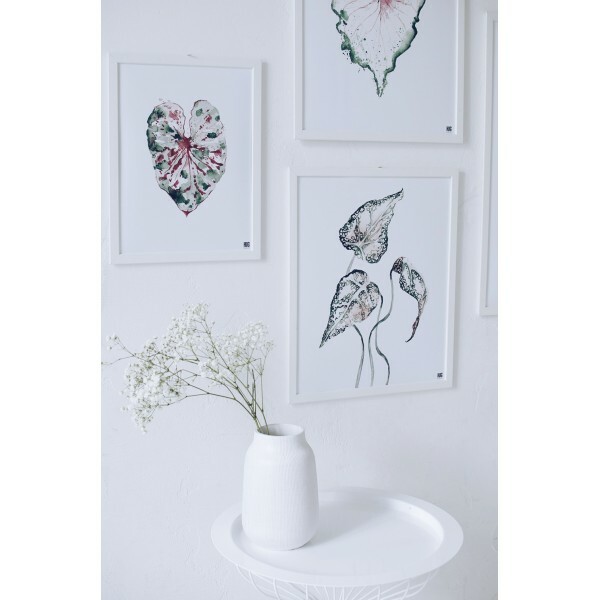 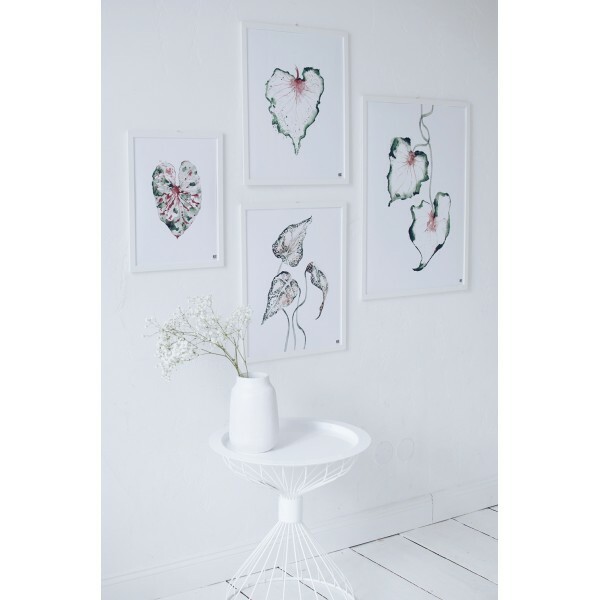 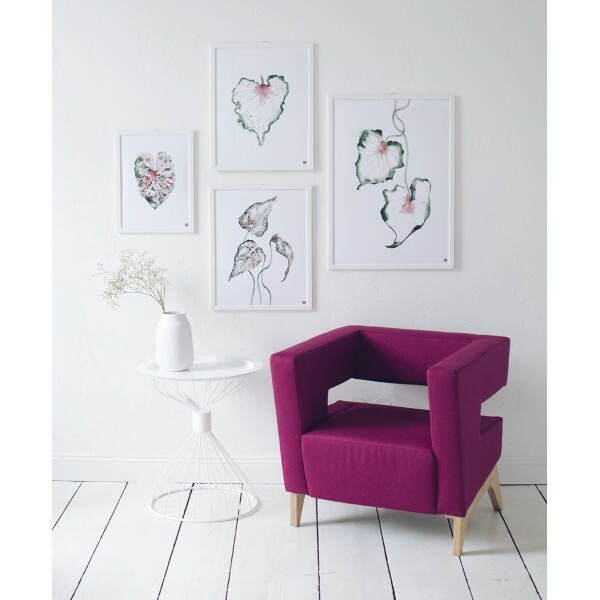 The poster will wonderfully revive your interior and introduce a slightly exotic atmosphere. 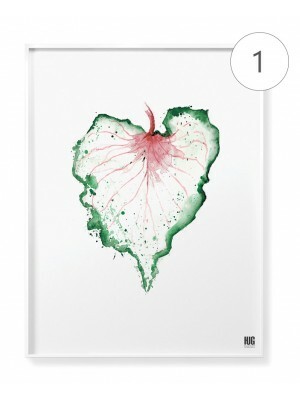 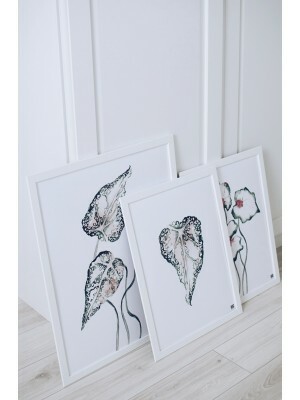 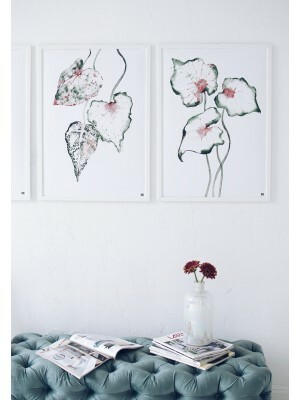 Poster painted with watercolors works great with other botanical posters from the same collection.